The 57th Grammy award was marked with pomp and color as artists converged to recognize the best of the best. The Sunday night event was hosted by LL Cool J on February 8, 2015 at the Staples Center, Los Angeles, CA. Here are the top ten winners during the event. Kendrick Lamar took the awards for the best rap song with his song I. Kendrick Lamar is a new sensation to the music industry with his ill rap lyrics. The musician won the BET awards best new artist and has since been a renowned rapper with his song I receiving recognition and worldwide appreciation. St. Vincent won the Best Alternative Album in the 57th Grammy’s. The 32-year-old singer from Tulsa Oklahoma won the award through her self-title album St. Vincent. The eponymous fourth studio album by the artist was released in the United Kingdom and went ahead to win the coveted award being the first female to win the award since its inception in 1991. The album includes the contributions of Sharon Jones, Homer Steinweiss and Midlake drummer McKenzie Smith. 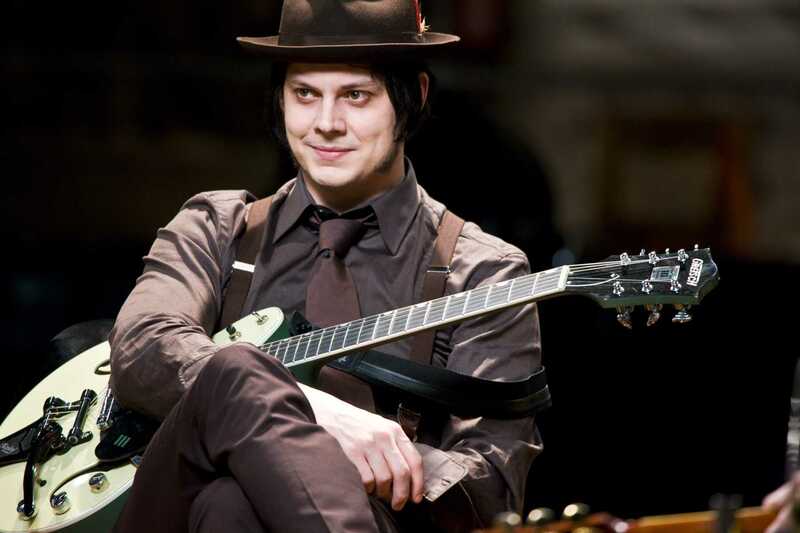 Jack white won the best rock performance award with his album Lazaretto. The album that was released in June 2014 through the artist’s label Third man records. The album is not new to winning awards. The album debuted at number one in the Billboard 200 and made sales of upto 138,000 copies in the first week of release. 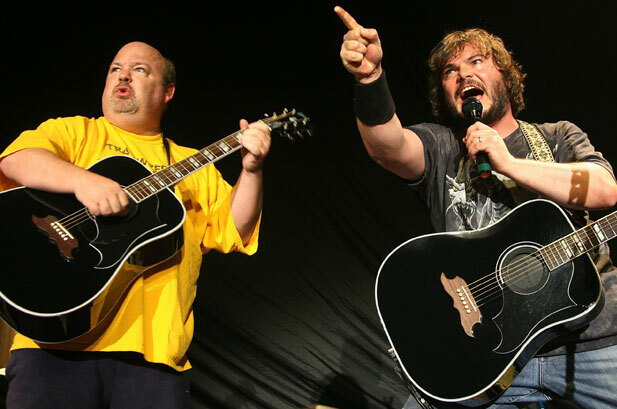 When Tenacious D beat Slipknot, and Mastodon for the Best Metal Performance in the Grammy’s everyone knew that the album The Last In Line is one to be heard once more. The second album by the American trio came back to the fore in a big way to scoop the award. 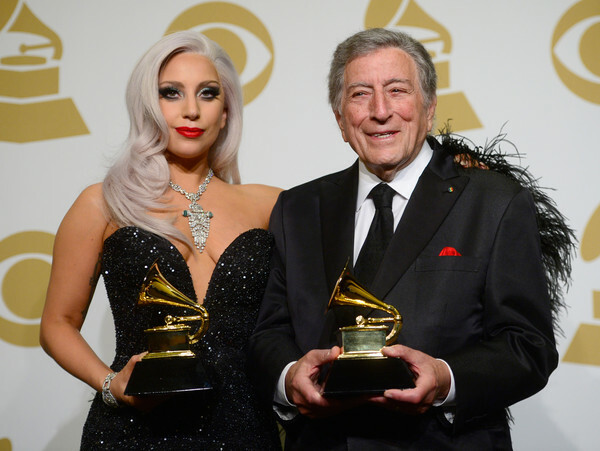 The two musicians have been traveling the world with their album cheek to cheek. The collaboration received amazing support from the fans that it did not come as a surprise when it won the best traditional pop vocal album at the Grammy’s. The two went ahead to cap their performance by performing at the Grammys. Pundits though that Eminem has lost his flair in rap. 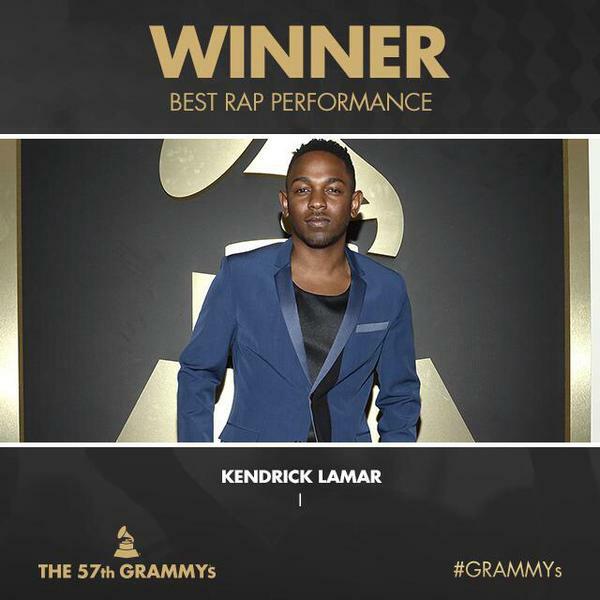 However, in the 57th Grammy’s after a long while, the musician was recognized for his rap talent. 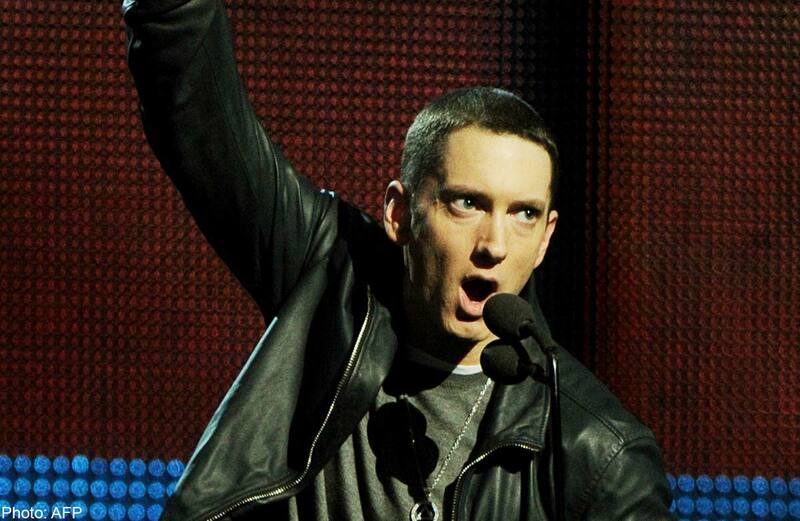 The artist in a collaboration with Rihanna won the Best Rap/Sung Collaboration through the song The monster and he also won the best rap album trough his album The Marshall Mathers LP2. These two awards are great wins for the rapper who was once a big name in the music industry. Beyoncé was awarded Best R&B Song for her song featuring her husband Jay –Z Drunk in Love and she also carried home the Best Surround Sound Album through her album – Beyoncé. The R&B sensation has been in the hearts of many. She has become an international celebrity not just through her music but also her song. The best R&B song category was highly contested with big names featured among the nominees. However, she managed to pull the award among her other awards. 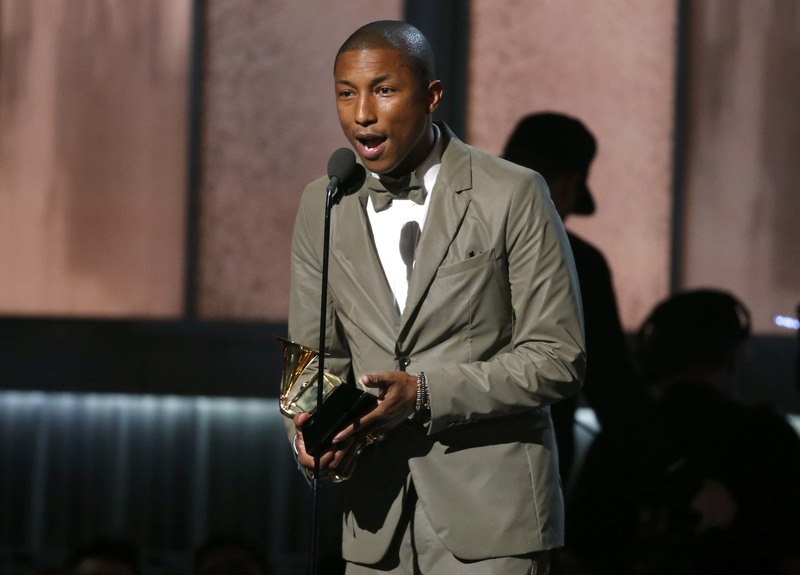 Pharell Williams was another great winner of the night. The Happy musician walked home with the Best Music Video through his song happy and Best Urban Contemporary Album through the Columbian records produced Album Girl. He managed to beat Beyoncé, Christ brown, Mali Music, and Jhené Aiko to walk home with this prestigious award. Pharell Williams is known for producing hit songs that are not only fun but timeless. Winning the Best Album takes more than just having an album get highest sales. 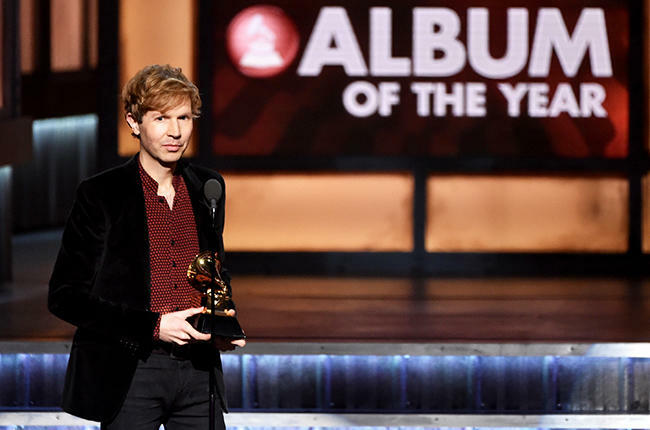 Beck through the album Moring Phase managed to pull the highlight award of the Grammy’s by taking home the coveted best album award. This is the twelfth album by the American Musician Beck. The album is a companion piece to the artists 2002 album Sea Change. The album was nominated for five categories in the Grammy’s and scooped the Best Album of the Year and the Best Rock Album. 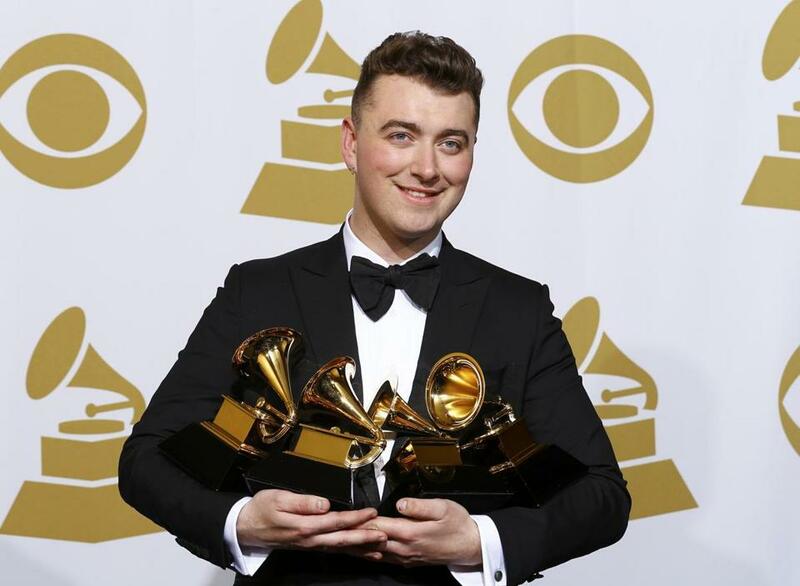 UK artist Sam Smith was the winner of the night. His song Stay with me, which was among the most popular songs, last year carried the best song of the year. He also scooped the best new artist award. Being a new artist who carried home four awards is truly a win. In addition to the best new artist and the best song of the year, Sam Smith carried home the best pop vocal album through his album Lonely hour and Record of the year through the song Stay with me.